Susan “Susie” Farrell, 48, of Clearwater, Florida died Tuesday, January 9, 2007 at Helen Ellis Hospital in Tarpon Springs, Florida after a battle with cancer. She moved to Florida thirty years ago and loved living there. She worked in hospitality, waiting on tables and tending bar. Around ten years ago she became a homemaker. Showing off her love of cooking, she hosted holiday parties for her friends because most of her family was in Wisconsin. Susie enjoyed family visits and spending time with her nieces and nephews. She is survived by Fiance Karl Rosell of Clearwater, Florida; sons Billy Kennedy and Dylon Douglas both of Clearwater, Florida; Mother and Step Father Gale (Fritz) Philipps of Port Washington, Wisconsin and Father Ray Melsheimer of Florida. Further survived by grandchildren Angel and Chloie of Clearwater, Florida; brothers Casey (Jean) Melsheimer of Random Lake, Wisconsin and Ben (Kelly) Melsheimer of Belgium, Wisconsin; step sisters Michelle Hall of San Jose, California and Cheryl Philipps of Port Washington, Wisconsin; nieces Brittany Melsheimer, Julianna Melsheimer and Lauren Boos; Nephews Josh Melsheimer and Sebastian Melsheimer and grandmother Lydia Ingersoll of Port Washington, Wisconsin. 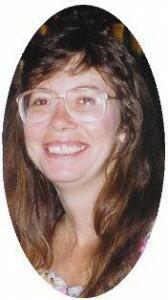 Susie was also loved by special friends Sue Poull & family and Bonnie & Dave, other relatives and friends. She was preceded in death by her grandmother Rose Melsheimer, grandfather Frank Ingersoll, grandparents Frederick and Henrietta Philipps, brother Peter Melsheimer, step brothers Steven Philipps and Jeffery Philipps and a brother-in-law Bill Hall. Pastor Mark Voll will officiate memorial funeral services 7 PM Thursday, January 18, 2007 at the funeral home. Family will recieve friends from 5 pm Thursday until the time of service.